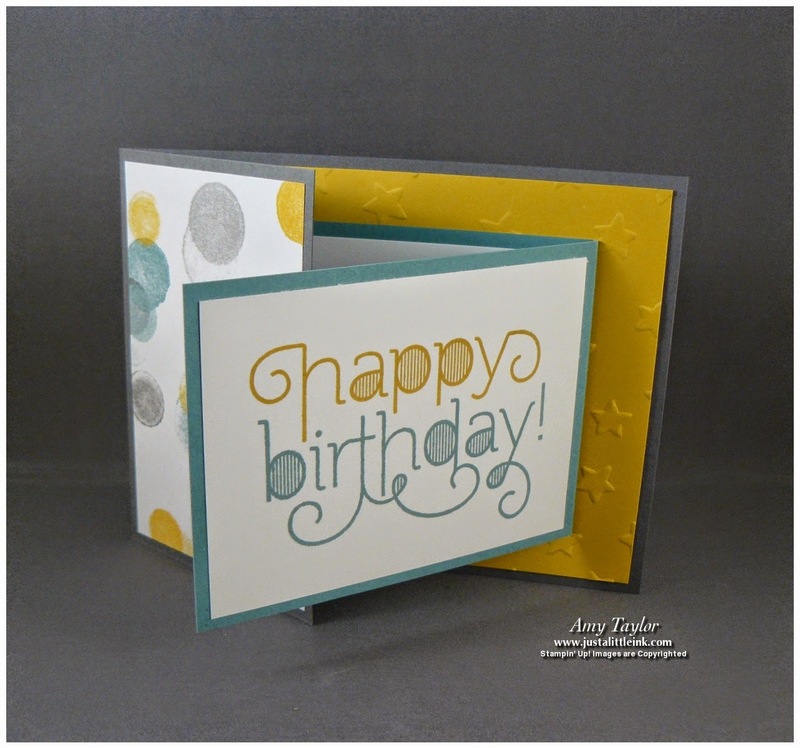 Last night was a great night of making birthday cards at my Birthday Stamp-a-Stack class. Everyone made 2 of each of these cards. 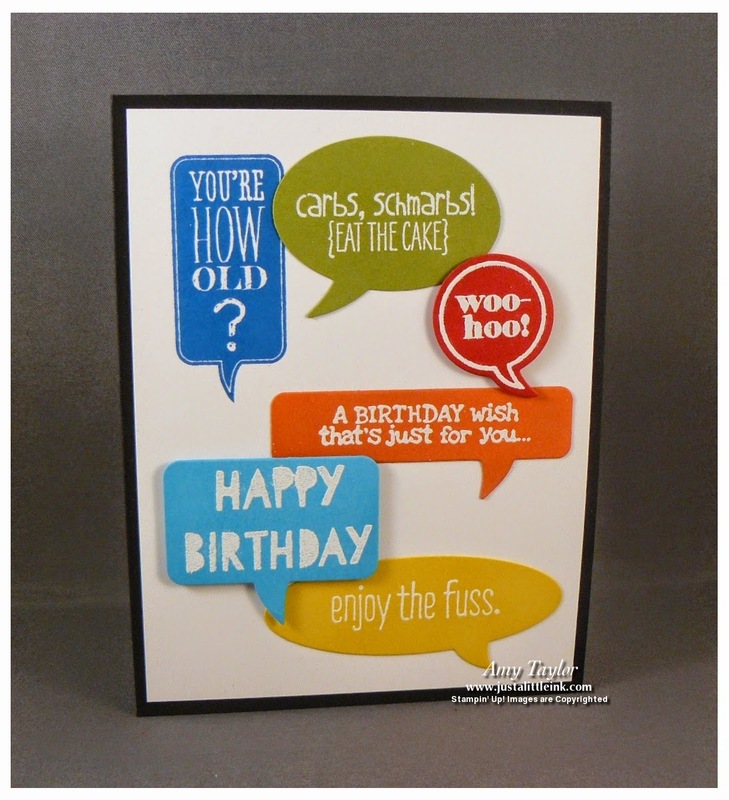 This awesome card idea was cased by fellow demonstrator, Heather Owens. Her card was not a birthday card, but a thank-you card. 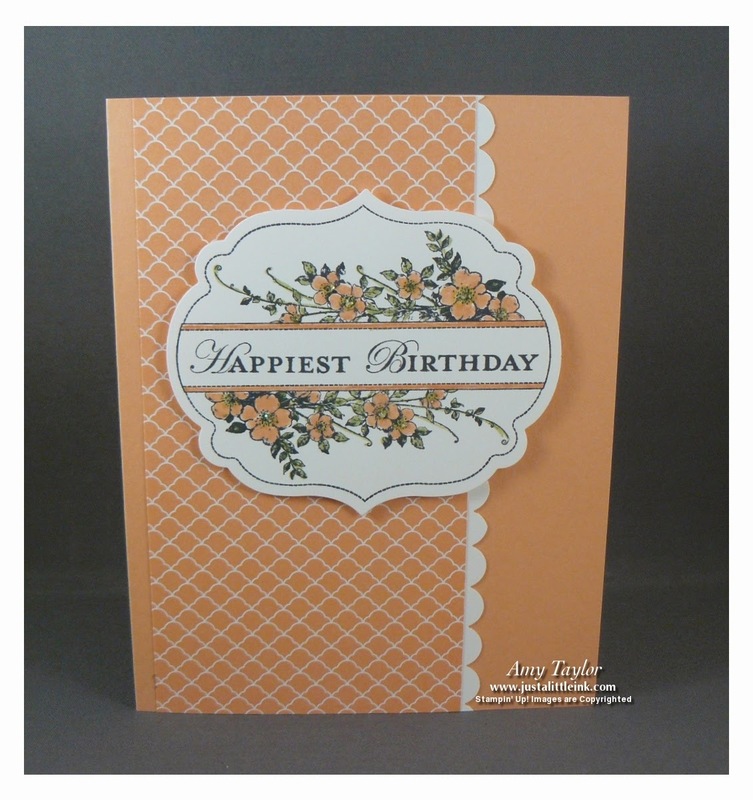 I loved her colors and layout and changed the stamps to fit the occasion. You may recognize this card layout from an earlier post. I used this same layout back in June. It worked perfectly for this simple birthday card. This last card is a very simple layout, but I think would make a great gift if made up in a few different colors and tied with a bow. I know I would love a gift of handmade cards.